Originally from Santa Clara, CA, Karoline spent her younger years in the Midwest before settling down in Schaumburg. She achieved her Bachelor’s in Psychology from Indiana University. She’s extremely eager about the dental field and is always looking forward to learning more through her position! Whenever she isn’t busy at work, Karoline enjoys baking, playing tennis, and spending quality time with her adorable nephew. She is fluent in Spanish. 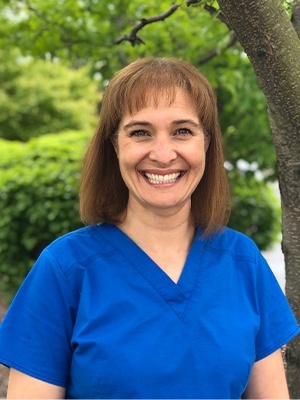 Stephanie has been working in dental hygiene since 1998. She is a native of West Virginia and attended West Liberty University of her education. Even though she loves the East Coast, she has lived with her husband Roy in the suburbs of Chicago since 2002. They have three children together named Emily, Benjamin, and Sarah. Stephanie loves so many parts of her job, including the people she works with and the wonderful patients! Additionally, her position allows her to do a lot of volunteer work through a local ministry in Tinley Park. In past years, she has traveled to countries like Haiti and Guatemala to provide dental care to people from impoverished communities. She enjoys living by the principle that bettering someone else’s life means that you have truly bettered your own as well! 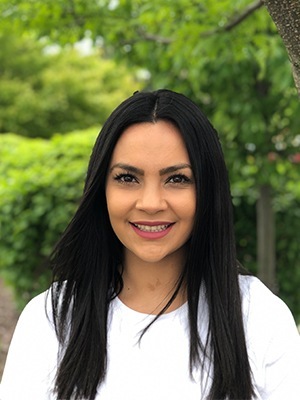 Lauren previously worked as a technician in a dental laboratory where she made crowns before deciding to take the leap towards becoming an assistant. Today, she loves meeting and helping patients at Atrium Family Dental! Outside of her job, she is a passionate animal lover and has two dogs and a horse at home. She also greatly enjoys doing any and all things outdoors. Nhi attended the University of Illinois for her undergraduate degree. 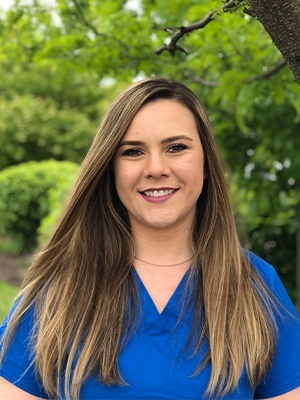 During her college years, she shadowed workers at a local dentist’s office and instantly fell in love with the field, especially the care, compassion, and warm interaction that was taking place between the dentist and the patients. Most of all, she thoroughly enjoyed seeing the patients’ reactions at their new, improved smiles! She knew right then and there that she wanted to be a part of a team that worked hard to make others happy too. 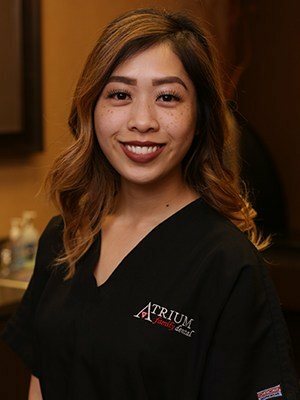 Outside of Atrium Family Dental, Nhi spends plenty of quality time with the loves of her life: her dog, her boyfriend, and FOOD.